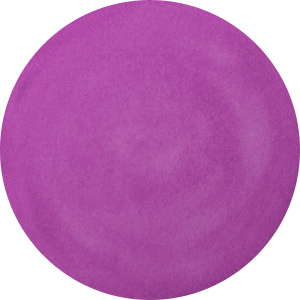 Elegant color fills the Leather Cord USA 1mm lilac round leather. This leather cord works well in many applications. Use it as a wrapping or in multi-strand designs for an accent of color. Add beads for a simple bracelet or necklace design. There are so many ways to use this leather in your projects. It features pale purple color. Graceful style fills the Leather Cord USA .5mm lilac round leather. This thin leather cord is great for use in multi-strand designs, to add a little bit of color to the foundation of your projects. It can also be used as wrapping or stitching. Add beads for even more color. It features pale and elegant purple color. This Leather Cord USA stringing material is stained with wine color. This leather cording feels extremely soft and supple, a combination that makes for a flexible base that can easily be incorporated into any necklace or bracelet design. The rich purple shade features a slightly mottled appearance for natural color and effortless style. This leather would look magnificent with dark wood components in a wrapped bracelet design or a simple necklace. A sturdy material is infused with wine color in this Leather Cord USA stringing material. This leather cording is thick yet flexible, making it an excellent choice for a variety of necklace and bracelet designs. The rich purple color takes on a mottled appearance for a fashionable worn leather effect. Use with gemstones in a wrapped bracelet for an intricate design. This leather is excellent for use with 2mm hole size products.